I had so much fun showing off some of the cool, handmade Etsy finds that I had found for Mother’s day; I had to show you all some more! First off, I had to share these fun earrings with you; they are made by artisan Melissa Creamer of chrysalisjewelrytx I love that they are not perfectly matched beads and are truly unique and playful. Your fun-loving Mom would love these! 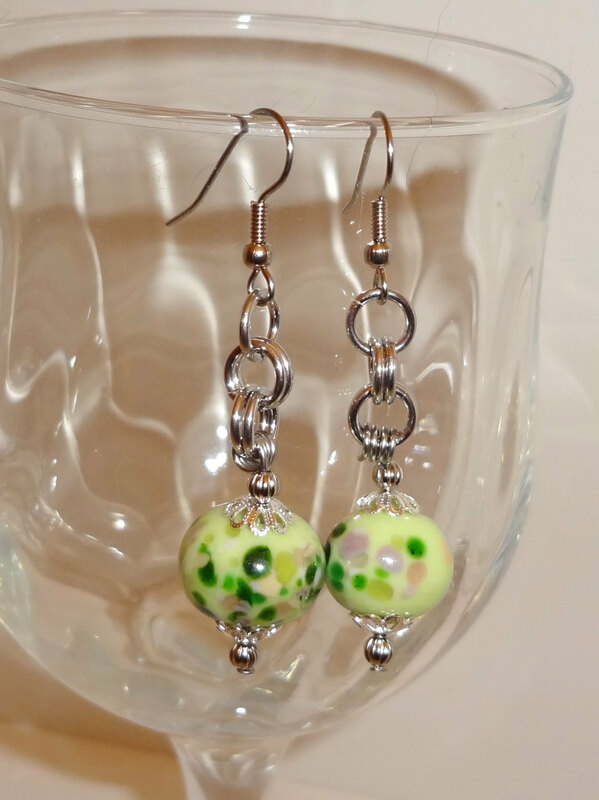 Lampwork Glass Bead Dangle Chainmaille Earrings a fun one-of-a-kind gift for a fun-loving Mom! 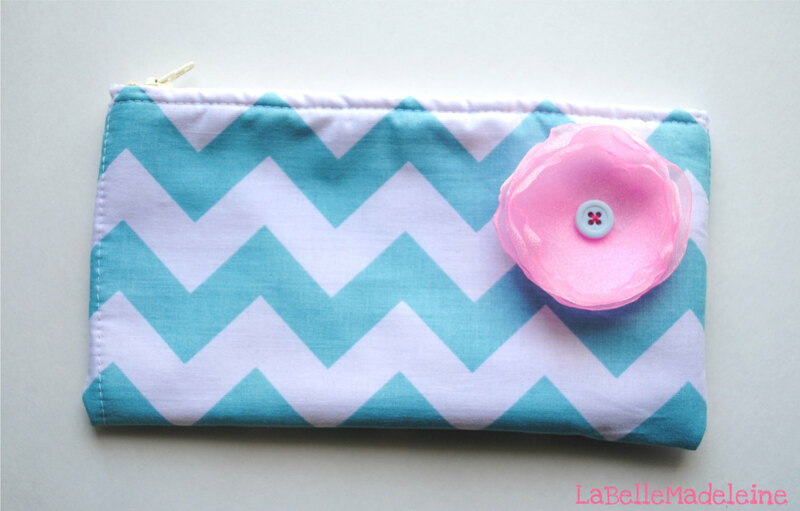 Look at the next fun item I discovered; a pretty chevron pouch by LaBelleMadeleine I love chevron, love pastel colors, and don’t get me started about handmade! A perfect gift for the Mom who loves style and has a practical side too! A cute and fun pouch for makeup, cash, or whatever your fashionable and fun Mom can come up with! Look at these amazing potholders from KraftyGrannysHome! These are almost too beautiful to use, but the Mom who loves to cook will break down and use these when she sees how well-made they are; I gave some to my Mom for Christmas last year and she loves them! 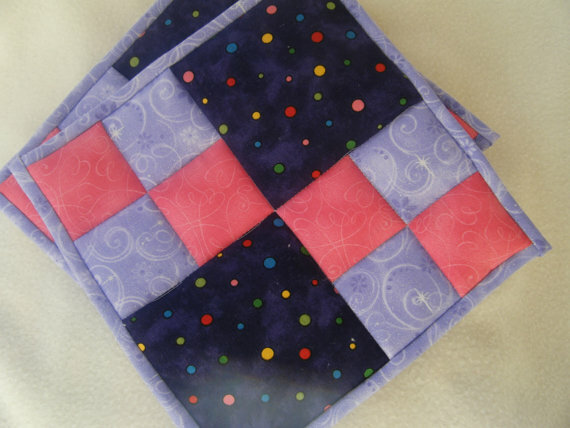 Purple and Pink Quilted Potholders – Set of 2 a great gift for the Mom who loves a beautiful kitchen! A personalized gift is always a fun way to tell Mom you love her; how about a ring with the kid’s names or her favorite inspirational words? Here are rings with birthstones too. 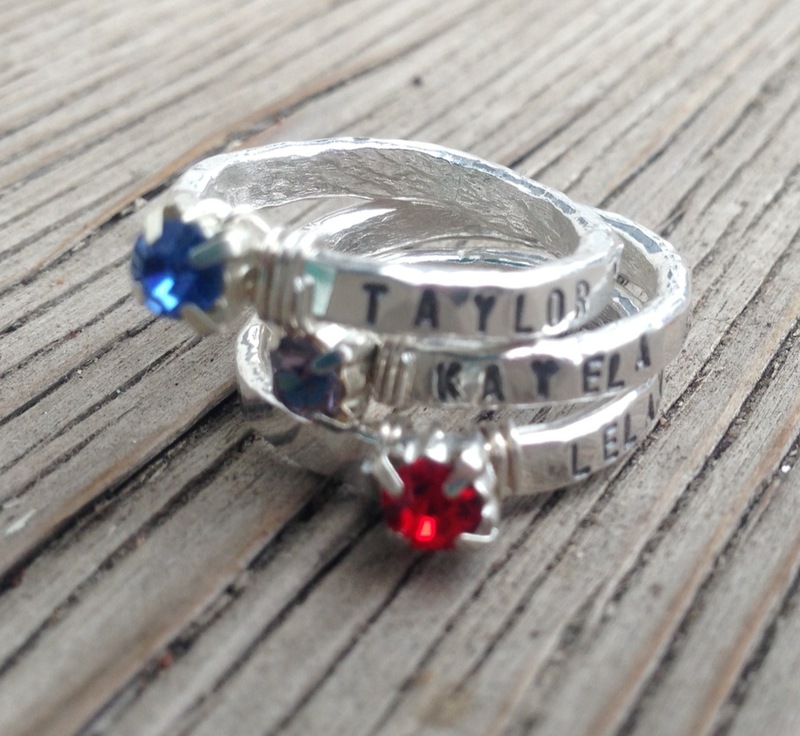 A personalized gift for Mom; rings hand stamped with the names of her children! I hope you have found a bit of inspiration with these handmade pieces; I think any or all would make Mom’s day. 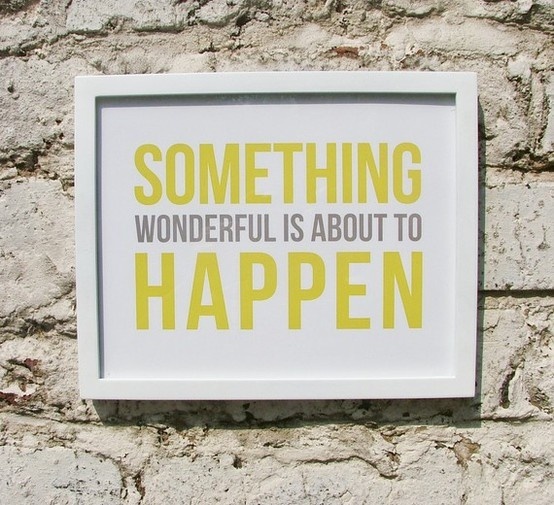 I love the Motivational Monday posts from @CereusArt; this one really speaks to me! Maybe you are like me and have no clue what to give Mom for Mother’s Day; I thought I would show you some fun finds for all types of Moms. I trolled through some of my favorite Etsy shops and wanted to show you what I found. For the trendy Mom: What Mom wouldn’t love some new earrings for Mother’s Day? 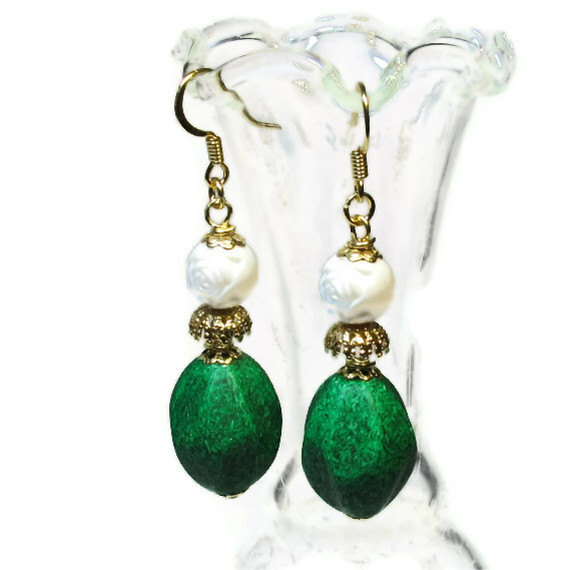 I know that a pair like these from BluKatDesign would be a welcome addition to the jewelry wardrobe of a fashionable Mom who loves to stay on-trend. Emerald Green is Pantone’s color of the year after all! I do say that the Eco-Mom, the Mom who is always upcycling, recycling and looking for new ways to use things would love this reclaimed wood hanger from TheWoodenBee what a fun way to deck out your room and be earth conscious! Do you have a crafty Mom who knits or crochets? I bet she would love this fabulous, handspun yarn from Stockannette. Annette makes lovely yarns in many wonderful colors. 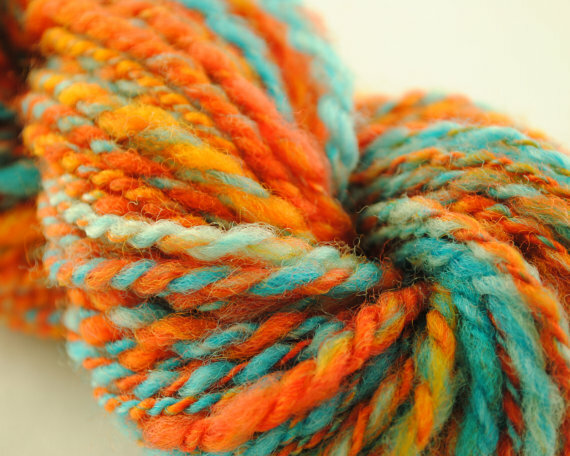 I happen to love this orange and blue skein titled “Delicate Arch. Fabulous! Maybe you have a Mom who just loves being a Mom; she loves to show off her delightful offspring whenever she can. 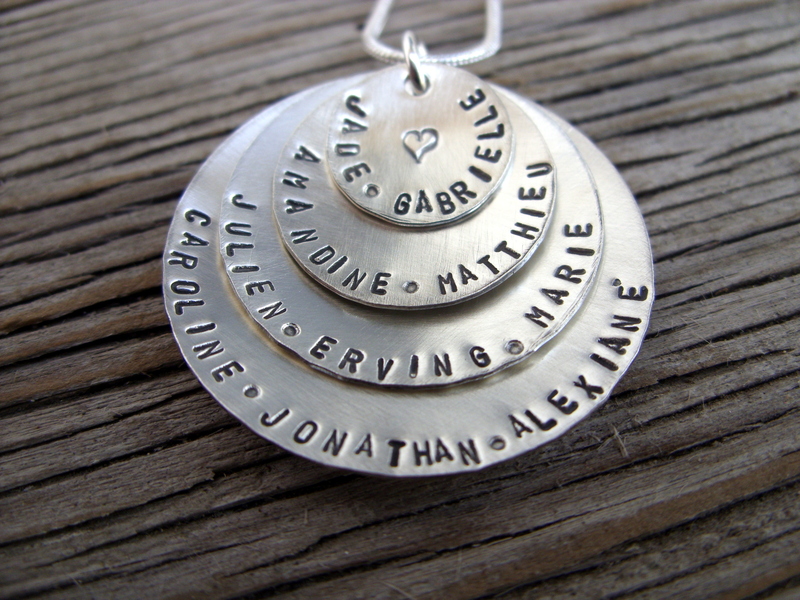 Perhaps a piece of jewelry like a custom pendant hand stamped with all the kiddos names would do the trick! A personal gift for Mom; a pendant hand stamped with all the names of the kids or grand kids. I hope you found some fun ways you can spoil your sweet Mom this Mother’s Day! I am so happy and excited to show off the teeny part of my contribution to an extraordinary anniversary gift. 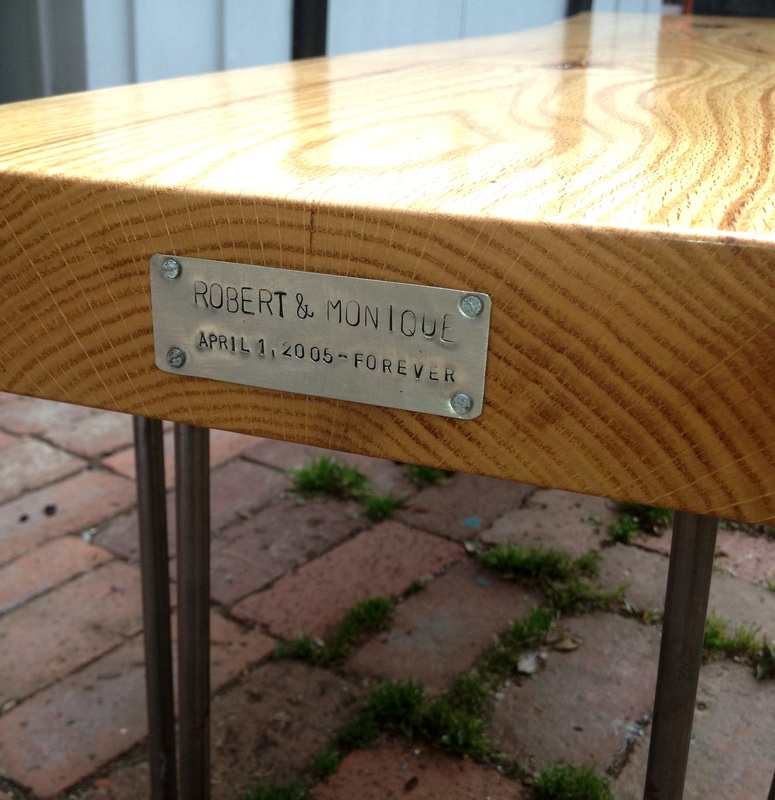 Amazing artisan woodworker, Robert Casanova of Casanova Home, asked for a custom plate to add to this gorgeous bench; he made it for his wonderful wife as an anniversary gift. Needless to say, my contribution was quite minimal, but I was very excited to add this small touch to a wonderful gift and keepsake. Here is another shot of the bench. 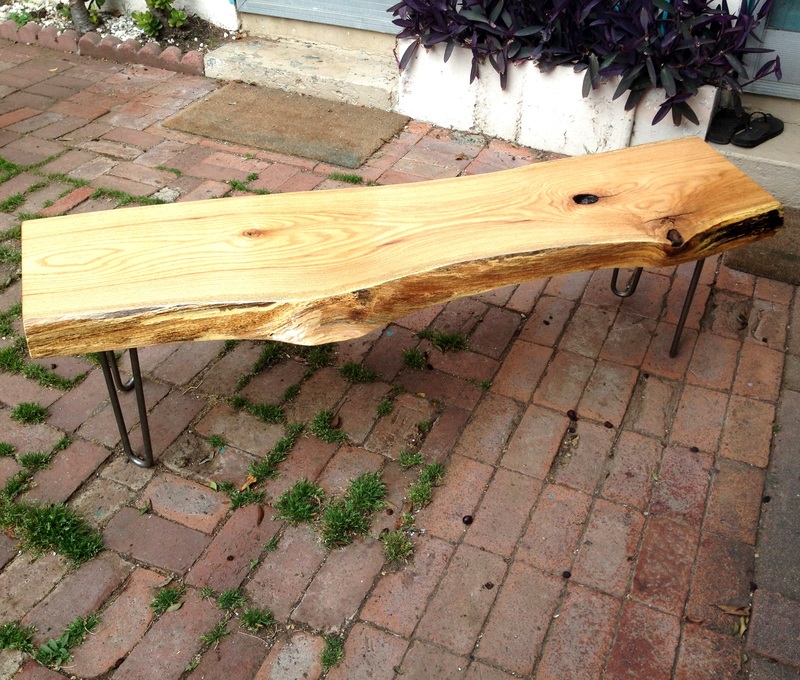 Bench created by Robert Casanova, woodworking artisan. 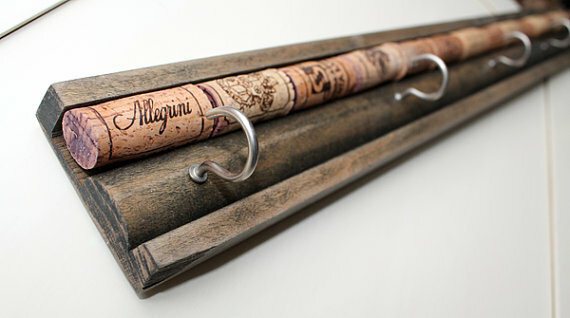 A lovely thing about Casanova Home, is the use of upcycled materials. This makes each piece unique and sustainable too. Now you know where to look for a special, one-of-a-kind piece that will be certain to start a conversation. 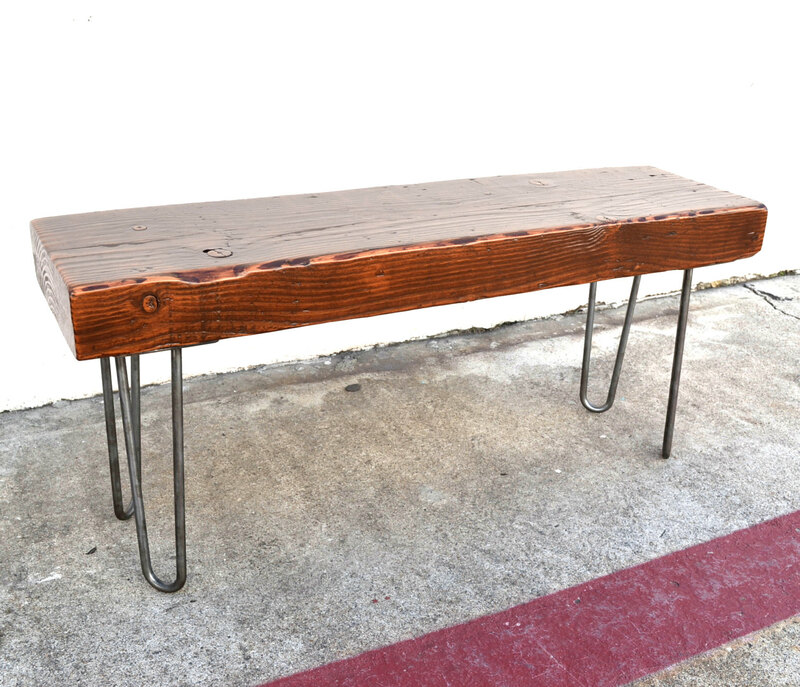 Here is a bench you can own for yourself; this one is made from salvaged wood from an industrial building demolition. Follow Casanova Home on Facebook to see what great finds Robert will turn into fabulous furniture and accessories.